Rotation during the summer weeks we offer different parties or entertainment. The beauty of an area that you enjoy at the table, and if we add a pinch of imagination and a lot of conviviality, the result is pleasant and inviting and is guaranteed! The gala is an evening of very fine dining. Like it a lot because it is an experience that is elegant and suggestive: it begins with a very well-kept and rich breakfast buffet served on the outside and accompanied by live music. The two talented singers will keep you entertained while you taste the dishes sophisticated and refined. It is culinary delights of the chef imaginative and original, which will give a touch of flavour to your experience here at the Hotel La Nidiola! And when in the evening it is very hot? When the heat we pursued and we do not know how to find water and how to work around the heat of summer we frequently find? In this case we propose the tropical buffet: all the colors and flavors of fruits from all over the world is waiting for you! A triumph of vitamins and freshness that we offer on our terrace and airy. Another night that was really successful is our Crêpes Party! 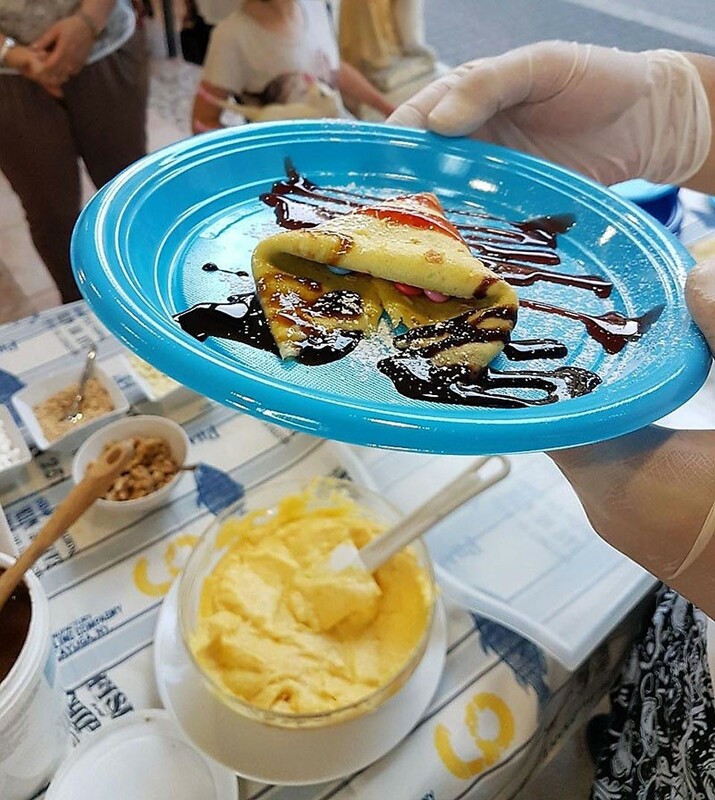 If he deals personally with our chef Sebastiano: crêpes expressed are created in the room in front of your eyes , and each guest can fill their own crepes freshly made to your liking. The most fun thing? Choose your taste from among the many ingredients that we offer! You will find all the classics, such as Nutella, and the more creative, such as white chocolate or cream to citrus fruits. As the dinner from the “grandmother”! The evening romagna is a timeless classic: the piadina, the squacquerone cheese, typical pasta, fish and local wine and many other delicacies that mark relish the gastronomic tradition of our land. We have dusted off the old recipes for you understand your tastes, and colors that characterize the best traditions of romagna. We want you to relive the emotion you felt when you went to eat by his grandmother. For some customers, it is the evening theme favorite: the Romagna is in the heart, is authentic, generous and genuine as the food that it offers! You want to become a “'azdora”? 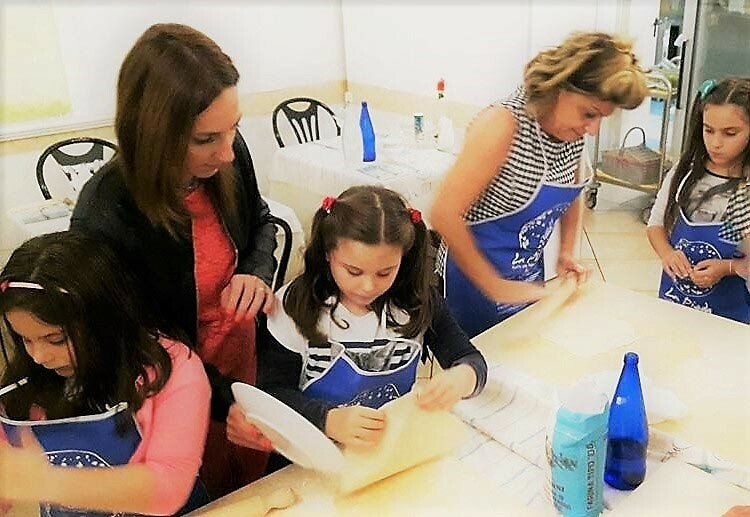 To get really and practically in the heart of our food traditions, we will “put their hands in the dough”! Are also on the program courses, piadina! And after it is prepared, you can also eat. After, you can expect a fabulous “Aperipiada”! You will discover thousands of ways to enjoy our beloved piadina. During this special aperitif we decided to offer flavors and fillings, different from the usual, experimenting with combinations and new flavors. And if it is your birthday? Prepare directly we do cakes for birthdays. It is an important task of which we are proud! But it is not only the birthday's to celebrate together with things that are good and tasty: we prepare surprises for wedding anniversaries, and anything else our guests want to celebrate! There are also important occasions to commemorate, that perhaps turn out to be very personal. For the more discrete, in fact, we prepare something special to be consumed directly in the room. But for those who want to share this moment of celebration, we are very happy to live it and celebrate it all together! To enjoy the hot summer sunset, after a long day at the beach or in the hinterland, we organize of the inviting and relaxing aperitifs directly on our terrace. The best cocktails, Italian and international, alcoholic and non-alcoholic drinks, and snacks appetizing will begin a unique culinary experience. Excellent choice for those who love to relax before heading back to the room. I stayed for 5 days in this structure and just entered the warm welcome emerged immediately. I stayed alone but alone I've never been. The owners welcomed me as if I were in the family. They met all my needs!